Each of these servers plays a vital role in the CRM infrastructure. And in the whole CRM environment, each server is critical. The good news is that you can protect your CRM infrastructure using Veeam backup, and setting up Veeam replication is an easy process. It is also very easy to deploy. When it comes time to recover, Veeam can offer several options, depending on the SLA in place. But before we get into discussing the protection of the CRM infrastructure using Veeam Backup & Replication, let's first discuss the role of each server and understand the available backup and recovery options for each server role. The AD server role is very important to your entire infrastructure, and this includes your Microsoft Dynamics CRM infrastructure. Protecting your AD must be a priority on any business disaster recovery planning, starting from protecting against entire AD disaster and object disaster. One of the many ways to protect your AD, or minimize the fallout from an AD disaster, is to deploy multiple AD servers and then distribute the Flexible Single Master Operation (FSMO) roles between the new deployed servers. When it comes to recovering an AD object deletion, there is no easy or straightforward way. Using Veeam Explorer for Microsoft Active Directory is one way to recover deleted objects such as users, groups, organizational units, group policy objects and more. For this discussion, we will back up the full state of the server using both full and incremental backups. The MS SQL Server 2014 is the heart of your CRM infrastructure. Your customer details, sales and related business data are stored on this server. Following the deployment of your Microsoft Dynamics CRM server, you will notice that several databases were added to the MS SQL Server, along with the default SQL databases. These are critical databases and must be protected against disasters. 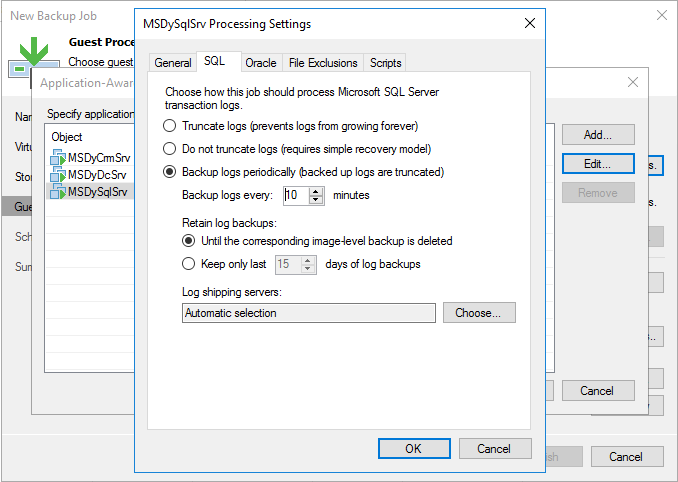 We are going to back up the SQL Server and we will enable the SQL log transactions to back up every 10 minutes. 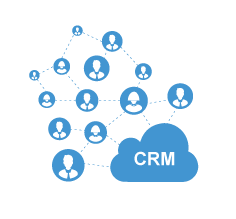 The CRM server is the interface server where you and your employees will connect to retrieve and manage your customers’ relationship data. Our strategy for this CRM server is going to be full and incremental backups. 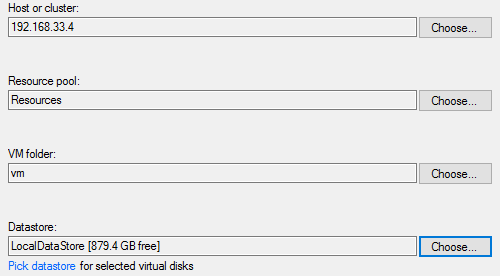 As usual, our backup configuration will start on the Veeam Backup & Replication console and a new backup job. With this backup mode, Veeam Backup & Replication will make an initial full backup as the first job and then back up only the changes. On the specified day, Veeam will synthesize a full backup from the data already on the backup repository. Confirm and save the changes by pressing the OK button and then press Next. It is also a good idea to test the configuration to check that there are no authentication errors popping up and stopping the backup job. Now that we are set up, the Microsoft Dynamics CRM environment is protected by Veeam backups. The simple backup configuration we just set up will enable us to recover from any data loss disaster. For critical workload servers, I like to add an extra level of protection to my backup strategy. In my Microsoft Dynamics CRM environment, as I pointed out earlier, I identified the SQL Server as the critical server. Because it is critical, I decided to replicate the server to a different data center and to keep it in a standby state ready for failover in case I lose my production SQL Server. 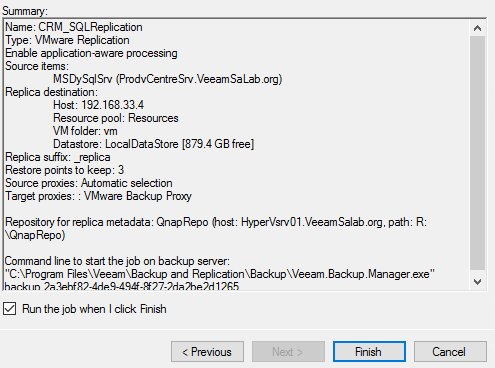 To set up this strategy with Veeam, all I need to do is create a Veeam replication job. Review the summary and to finish the job creation, press Finish. On this blog, we went through the Microsoft CRM backup process using the Veeam Backup & Replication product. The bottom line is that with Veeam and its flexible ways of restoring data, it is much easier to protect your critical applications. In the event of a disaster, you have multiple ways to recover your data, thus ensuring that your mission-critical work is always available.